Documents from Cossette Communications Inc. show three different logo options for FinDev Canada. Its 2017 budget announced $300-million toward developing an institution that would support sustainable development and poverty reduction in developing countries by aiming to attract private investors – such as pension funds – as investment partners in private projects that serve a public good. The organization was placed inside Export Development Canada and given the legal name Development Finance Institution Canada. But officials decided something catchier was in order. After weeks of internal debate, the new name emerged: FinDev Canada. As it turns out, that name was already taken by a Bay Street real estate company, Findev Inc., which owns the web domain findev.ca. Some other entities that risk confusion with the government agency FinDev: Real-estate firm FinDev Inc., and the federal agencies FedDev Ontario and CDEV. Documents obtained through Access to Information by researcher Ken Rubin provide a window into the behind-the-scenes effort that went into branding the new agency. The organization awarded two contracts to Cossette Communications Inc. – the global advertising and marketing firm that has worked for major clients such as McDonald’s Corp. and General Motors Co. – with the mandate to develop a brand, a logo, a name and a website. The terms of the contract say spending was “not to exceed” $421,050; however, the final bill came in at $499,800. “I think $500,000 is an outrageous amount for what they got,” said Conservative MP Ziad Aboultaif, who is the Official Opposition critic for international development. Mr. Aboultaif said the Liberals have a record of overspending on branding and then reducing costs when the spending is exposed. He pointed to the $66,008 the Liberals’ spent on the 2017 federal budget cover. That expense was reduced to just $563 the following year in response to the controversy. The fact that FinDev is focused on alleviating poverty in developing countries should inspire an extra effort to avoid questionable expenses, Mr. Aboultaif said. The documents show Cossette provided dozens of name suggestions, along with analysis on whether the potential names sounded masculine, feminine or European. The outside agency identified pros and cons to simply using the official acronym of DFIC, and replacing the word “institution” with “impact.” The four-letter descriptors would work in both French and English and “DFI” is a recognized term in the industry. An excerpt from the documents shows the name suggestions weighted by how "clear & simple," "lively" and "mobilizing" they sound. At one point, 13 names were suggested and laid out in categories based on whether they included traits such as “caring for results” or showing a “progressive impact.” Among the early contenders: Fidca, Fideca, Findec and Findeca. FinDev Canada was not among Cossette’s first wave of suggestions. Angela Rodriguez, a spokesperson for FinDev Canada, said a contract was awarded because the agency did not have staff available who could do the work of coming up with a name, logo, brand and website. Ms. Rodriguez said Cossette was selected as the most competitive bidder after a request for proposals. “In under a year, FinDev Canada moved from a concept to a fully operational financial institution,” she said in a statement. In addition to providing an initial list of names, documents show Cossette also produced what it called a brand story or manifesto for the new agency. The 12-line ode to progressive impact is laid out in the documents like a poem. An excerpt from the Cossette presentation's poem-like ode to progress. To date, FinDev Canada has announced one project: a $10-million investment in Kenya with M-KOPA, a company that sells small solar power charging units throughout Africa. Alan Middleton, an assistant professor of marketing at York University’s Schulich School of Business, said the meaning of a brand emerges over time based on what the organization does. Advance marketing around logos and branding is less important, he said, and could have been done in-house by public servants. “While $500,000 is not excessive for this kind of work, it is certainly on the high side, especially for the quality and insight of what they received,” he said in an interview. 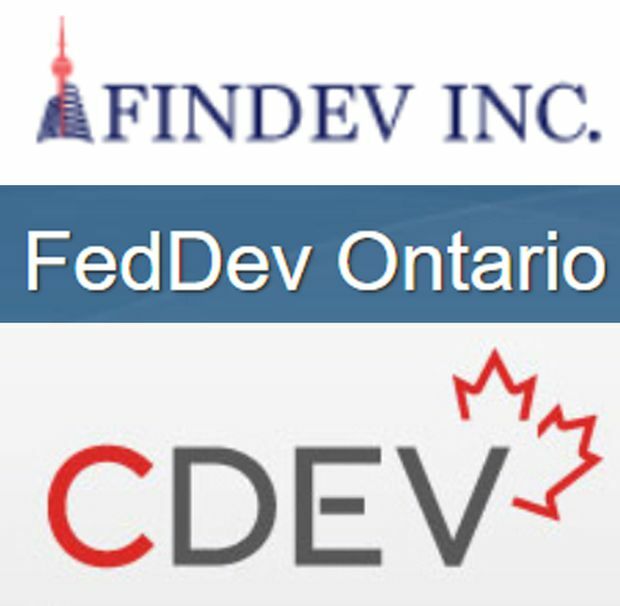 In addition to sharing a name with a private sector firm, FinDev Canada also sounds similar to other federal agencies, such as FedDev Ontario, which Ottawa created in 2013 to provide federal grants in Southern Ontario, and CDEV, a federal body that divests assets. As for Findev Inc., the Toronto real estate company, chief executive Sruli Weinreb says he’s received a few calls that were meant for the new government agency. He said he’s curious to see how things play out and would be open to surrendering his findev.ca domain name. “It depends if there is a cheque attached to it,” he said.